I made the point in my sermon on Sunday that, for whatever reason, God wanted Shadrach, Meshach, and Abednego to endure the worst part of the fiery furnace—which, perhaps surprisingly, wasn’t the furnace itself. As I explained, the worst part was, first, wrestling with the decision to go to the furnace (versus bowing down to the statue) and, second, anticipating the horror of the furnace: What would happen the moment they’re thrown in? What would dying that horrible death feel like? Notice the last sentence: Benedict implies that God wants Mary to suffer in this way—to struggle in her alone-ness—for a good reason: to bring her closer to God, to mature her faith. God knows what he’s doing. If only we could remember that when we’re going through our dark moments! 1. 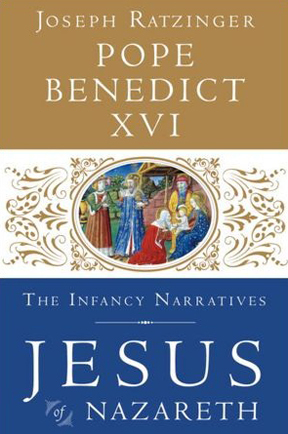 Pope Benedict XVII, Jesus of Nazareth: the Infancy Narratives (New York: Crown, 2012), 37-38. This entry was posted on	December 2, 2015 at 3:34 pm	and is filed under Uncategorized.